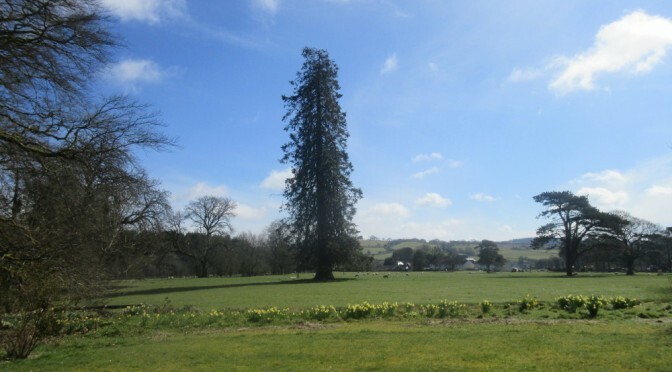 Tyrannell lies at the foot of the Cambrian mountains, between the towns of Llandovery and Builth Wells, making it a special location for anyone with an interest in history, art, music, horse riding, walking or cycling as well as the Royal Welsh Show. In earlier generations the annual agricultural shows were the main social event of the year for farmers who often lived, in remote areas like Mid Wales, in considerable isolation. The Beulah Show has a particular reputation as the final Trotting Race meeting of the season and the Show Field has an especially long perimeter, making for an exciting evening’s entertainment. For this reason, as well as the trade and networking opportunities, it draws attenders from a very wide area. Locals tell of a time when sheep farmers from the uplands of the Cambrian Mountains, which start at the edge of the Tyrannell grounds, would leave their isolated homesteads at dawn, on horseback, following the ancient Drovers’ Road, arriving at the foot of the hill just opposite our lake as the show opened in late morning. They would then enjoy the show, trading livestock, catching up on a year’s gossip, meeting old friends then eating and drinking – of course – late into the evening as the trotting began. Then, perhaps a little worse for wear, they would remount their horses and, dozing in the saddle, allow the trusty beasts to carry them safely home, arriving back in the early hours of Sunday morning. Tyrannell Hospitality offers welcoming and high-quality Self-Catering accommodation and Bed and Breakfast.